As you are reading this blog and this post, I am going to assume a couple of things about you, the reader. I assume that you are most likely in EMS or have a healthy interest in it. I assume that you are pretty much committed to learning as much as possible about the care you give your patients. I assume that you are well read and subscribe to the ethos of delivering evidence based practice. I assume that you are clinically up to date, or at least striving to be. I assume that you are still very much in the minority of EMS providers. Thats not to say that everyone else is bad and well behind the times (although there are some out there like that), just that as a group of professionals, there are many who are happy to just potter on and do what is expected of them on a day to day level. The publication earlier this week of the 2010 AHA and ERC Resuscitation guidelines was hotly anticipated by providers all over the world.We were looking forward to some potentially radical changes which could provide real and significant increases in the survivability of our patients from out of hospital cardiac arrest. Many bloggers and podcasters have addressed the issues and changes that have come from the new guidelines. So much so, that I am going to side step doing just that in this instance. What frustrates and annoys me is that as we are being asked to be more professional in our actions, more professional in our reading and studying; more professional in our application of knowledge into practice and more professional in our duties, that we still cannot command the respect from many others that we actually know what we are talking about and understand what we are reading. I am aware that I cannot change my practice to the new Guidelines until they have gone through our clinical governing body, the Joint Royal College Liaison Committee, and then have been approved by our medical directors and then fed down to the operational staff. I accept that it would cause chaos to allow each paramedic, as an individual practitioner to implement the new guidelines when they have read and understood the rationale behind the changes and the impact that they may have. It was cause nothing but confusion and poor application of skills if you had a couple of medics at a cardiac arrest working off seperate guidelines and not knowing what they other is wanting. I can see this taking quit some considerable time to filter through all the bureauocracy of the NHS before we can once again state that we are using the best and most up to date evidence based practice. Tom Bouthillet asked a great question of Dr Kleinman on the recent edition of The Medic Cast podcast when he wondered what could be done to reduce the delay in time from the publication of the new guidelines to the implementation of them. That just goes to show that this is apparently a much bigger problem than just UK pre-hospital care. Until I get the ok, I guess I will still be doing everything to the best of my ability but continuously hoping that someday soon, someone will say to go ahead and use the new guidelines. I know that it isnt a magic tablet to the disease of Cardiac Arrest, but personally, I just want to know that I am doing what is recognised as the best possible medicine for trying to return my patient to his or her family. How is it for your service? Will you be implementing soon or will it take some time? Like you I guess we will have to wait. I havent heard anything from our trust about changing our guidelines and assume that we will be waiting for JRCALC first, just like you! Although, as an autonomous practitioner that has JRCALC as a ‘Guideline’ and not a protocol, are we being negligent for not acting outside of the guidelines to offer a better level of care……? And that my friend is exactly my point! Next time I am injecting atropine into a patient (even though it hasnt been proven to be harmful, more that it is not of benefit to the patient), am I not going against my professional standards with the Health Professions Council? Its a moral and ethical dilemma for sure! Mark, as always, every level needs to have their say. In a perfect world, the guidelines would come out with the science to back them and we would simply change. And since we are following what the new guidelines are going to be for months now, training materials can be edited daily to reflect the change, then the only delay should be actually getting folks into the training division to show competency, then out the door. In my system that could take 2-3 weeks, but that’s it. We JUST updated most of our statewide protocols, so I don’t anticipate the ACLS recommendations changing for us anytime soon (the last update took 2 years). That said, in all of our cardiac arrest protocols it says to perform BLS measures according to AHA guidelines, so I suppose we don’t need to wait for our personal CPR recert or anything from the Department of Health in order to start using them…. maybe. 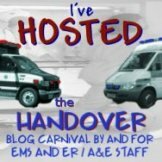 Like you replied to Paramedic Blogger, its a gray area. Joe BLS here: It will take about a year for everyone to get up to speed and get through the new training. Personally, some of the stuff I will incorporate on my next code, but don’t tell anyone, ok? Now I fully realize and appreciate that the ALS providers have a bigger issue here because the changes speak to the meds that are provided, how much, and when. That stuff is going to HAVE to come through official channels. As for the physical skills and how you provide CPR (and the first aid) which is addressed in the guidelines, that is largely a lot of nonsense in my eyes. (There I said it and I’m glad.) The majority of which has to do with finding ways to do the interventions that are needed in a way they (the less experienced, or first time providers) can understand them and actually do them effectively. Anybody who has done a few dozen codes can make good solid decisions on their own and do not need, require, or appreciate the AHA or anybody else telling them how to get the job done. Just give them the science and they CAN apply it. For instance, I now understand that we can increase the cycle rate on compressions and hope for a better statistical outcomes. OK, I can do that, AND I can start compressions before I worry about the airway, no problem. I’ve thought this was a good idea 4 years ago, but had to wait unitl the AHA decided that it was ok.
My point is that the changes are NOT really that significant from a BLS providers point of view and in fact I really feel the AHA is basing most of their decisions on their collective IMPRESSIONS of how the science will be received and understood by the providers. The should concentrate on providing recommendations BASED ON THE SCIENCE AND RESEARCH ALONE and let the actual execution be handled by those downstream. I guess I’m just an old curmudgeon, who has seen too many of these damned ‘ground breaking’ changes. bureaucracy is everywhere, as usual. Mark, I think that there are things that an individual EMS provider can do to implement the core ideas behind the new guidelines before “Official Implementation” and without violating protocol and procedures. Much of what has been put in the guidelines is an extension and edification of the changes seen in 2005. The concepts of minimizing time off the chest, asynchronous ventilations, and education of bystanders for CPR in the field are all things that can (and should be) implemented immediately by all of us. Our next training cycle for CPR will start in January. I expect at that time we’ll get the BLS changes. Our next protocol update is due for February, so I expect that we’ll see the ACLS changes then. Then again, we adopted therapeutic hypothermia a couple of years ago, so we might get some interim updates from our medical director before the formal protocol roll out.